another season, another reason.. | eat. play. sleep. 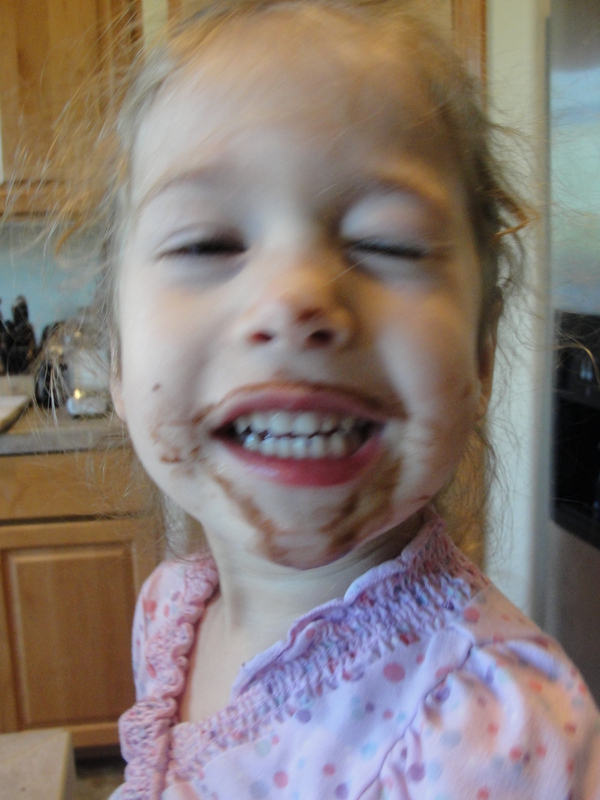 The picture is blurry because she was high on devil’s food batter. And also because of her general peskiness. We made the cakes while big pesky was away having her brain tested and I made some cream cheese frosting to go with the leftover marshmallow frosting I already had in the fridge. 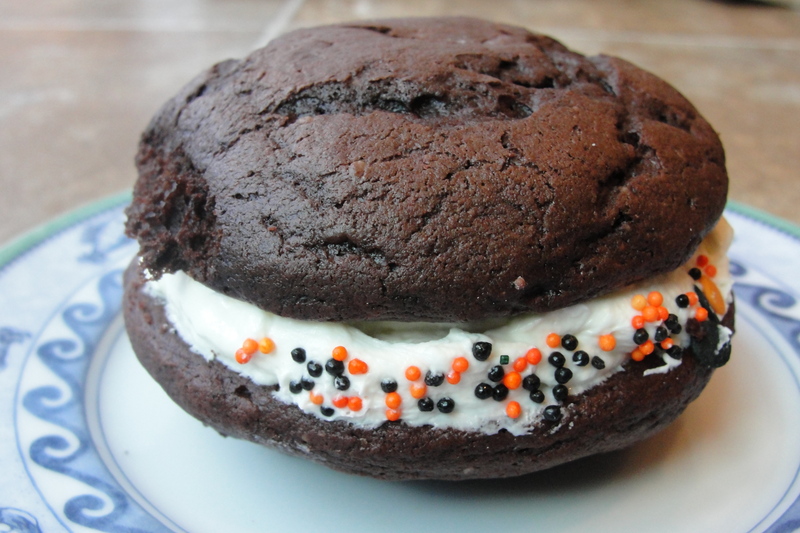 Both would be yummy with pumpkin whoopies…banana whoopies…carrot cake whoopies…but I digress. Preheat oven to 400 degrees. Sift together the first five ingredients. Set aside. Line two baking pans with silpats or parchment paper. Cream butter and sugar until light and fluffy. Add eggs, buttermilk, and vanilla. Beat until well combined. Slowly add dry ingredients. Mix until combined. I used a large cookie-scoop (like an ice cream scoop) to make 30 cakes. Bake for 12 minutes, then cool completely on a rack. For frosting, cream butter and cream cheese together, then add powdered sugar until desired consistency is reached. Add vanilla, beat until fluffy. Spread 2 tablespoons frosting onto half of the cakes. Sandwich together with remaining cakes. Make your husband take them to the office so that you don’t eat them all yourself while watching the Sister Wives marathon. Or, you know, store them in an airtight container for up to 3 days. right now… « eat. play. sleep.